Your Position: Home > ShopInfo > Who we are? Since its inception in 2004, EOOKE has grown from a small digital picture frames factory into a comprehensive leader in the regular & advertising digital frame business. 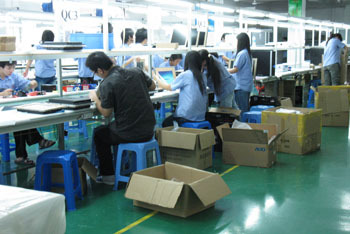 With many Senior R&D Enginers, skilled production workers and a product line that is not matched by any other competitor in the market, Digitalframe0 has been developed a strong reputation for superior customer service and high quality product. Today, as a leading frame factory, we have over a 100 different styles of digital picture frame and advertising frame in stock ready to ship at any given moment and we consistently provide products that meet and exceed the consumer demands. We are the factory so whether you have a specail display case and want to custom the size/shape, or you're interested in custom a specail layout or feature, we can transform your idea into a reality. Please have a chat with our live support or email to sales#digitalframe0.com, we will walk you through each phase of process and make your frame out. Digitalframe0.com offers you the lowest prices on all the products you find in our Online Wholesale Shop. The prices are not matched by any company in the industry. Our prices are low because we are the direct manufacturer of the digital picture frames. 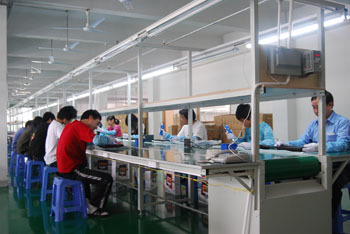 Our products are shipped from our factory and delivered to you withing 1-7 business days. We stand behind all products we sell because our products are rated top in the digital frame industry. What is the bezel dimension on your 24, 32, 43 and 55 inch screens? Detail replied to your email, please check. Yes, it take 10-15 days from the date you order. Can you help me? I have download the playlist on my notebook and added the files to the playlist and name it Playlist and the file type is (playlist.txt) I copy playlist on the USB Jump Drive and put it in the Frame but will not Copy to the Frame. What can I do? I'm not sure if understand you correctly. Unlike digital frame, advertising frame don't have/can't no build-in any internal memory, it can just read files from your USB drive or CF/SD memory card, so it will/can not copy your PLAYLIST.TXT to the frame. It should be PLAYLIST.TXT (capitalization ). If you just want to copy the file to target memory card/USB drive automatically, please refer to the manaul (Page 7 Auto copy ). Please let me know if you still have questions. I am looking for a 15" digital photo frame with an internal memory of 2GB. Do any of your digital frames have an internal memory? Yes,most of our 15" frame can be added 2Gb internal memory now, please click "accessories-2Gb internal memory" on product page before checking out. Hi Did you 22inch Built-in li battery digital photo frame, please let me know. thank you.